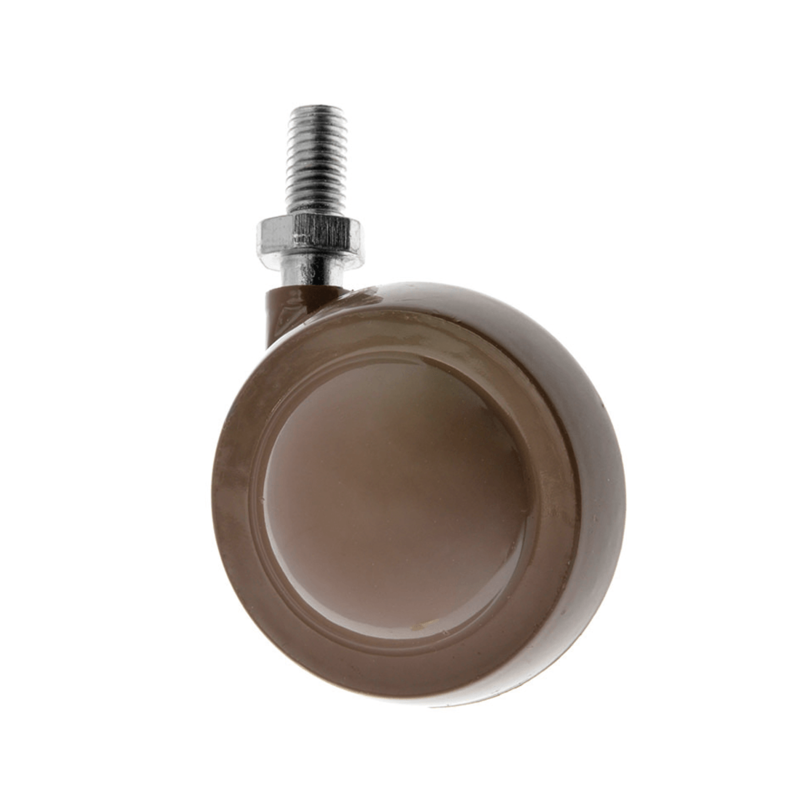 A range or original Shepherd Metal Ball Castors with a metal ball castor and a threaded stem fitting. Available in either natural beige, dark brown, modern nickel or with a poly tyre fitted for hard floor protection. Small ball casters best for sofas or choose a larger ball caster for larger furniture and equipment. Easy as replacement metal ball casters using the screw in M8 or M10 threaded stem. Shepherd Castors are a range of metal ball castors suitable for furniture, sofas and armchairs, cabinets and footstools. With two sizes to choose from and a range of colours, these traditional metal castors are a popular choice. The threaded stem fitting is for ease of attachment, and alternative plate and socket fittings are also available.